The Cavs beat the Phoenix Suns by four on Sunday, though they let Eric Bledsoe drop 31 points and Tyson Chandler grabbed 15 rebounds in a blast from the past. On Tuesday, they lost by eight to the Utah Jazz, with Kyle Korver making his team debut. On Wednesday, they lost by 16 in Portland to the Trail Blazers. The team did arrive in Portland around 3 A.M. due to bad weather. The Cavs bounced back last night with a 12-point win over the Kings in Sacramento. 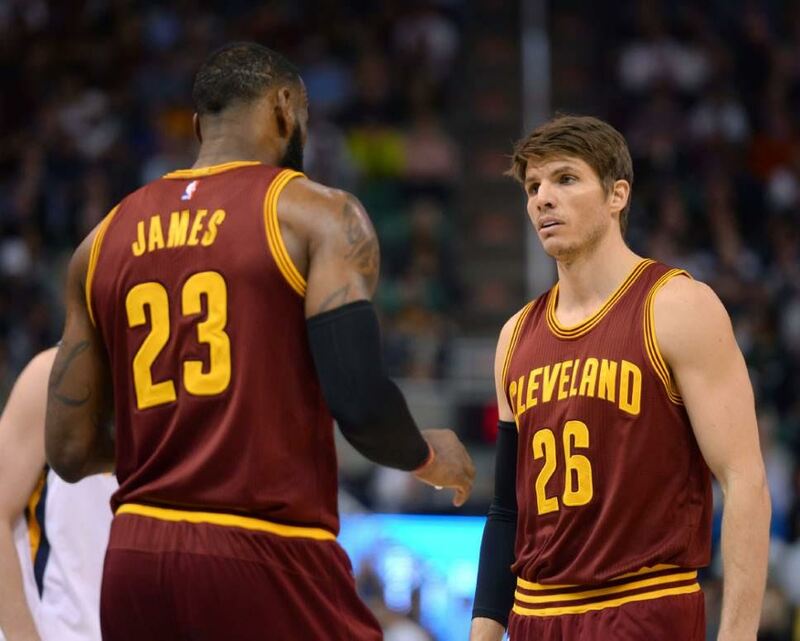 Kyle Korver made his debut as a member of the Cavaliers, with Mike Dunleavy finally reporting and taking a physical with the Atlanta Hawks. Korver went 1-5 in both if his first two games, only to explode for 18 points and four three-pointers in 25 minutes against the Kings. The Cavaliers are still searching for the backup point guard that LeBron James has requested. 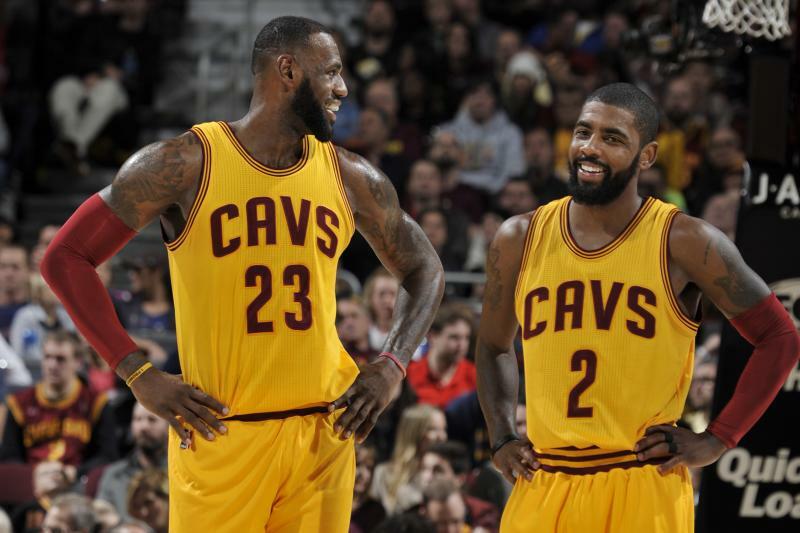 The Cavs have a marquee MLK Day matchup in California with the Golden State Warriors before returning home to play the Suns on Thursday. The San Antonio Spurs then roll into town on Saturday in a game that will be featured on ABC. The Pacers beat the New York Knicks on Saturday by 14 points. The trio of Paul George, Myles Turner, and Jeff Teague combined for 51 points on the night while getting 14 points and 7 rebounds off the bench from Al Jefferson. The team then traveled to London to play against the Denver Nuggets at the O2 Arena. The Pacers gave up 140 points in regulation in a losing effort. Paul George released his new shoe, the PG1, with Nike and debuted it in the loss to the Nuggets. George went 2-12 with 12 points on the night. The team comes back stateside and plays Anthony Davis and the New Orleans Pelicans at home on Monday. Following this, they have three road games on the West Coast against the Sacramento Kings, Los Angeles Lakers (on ESPN on Friday) and the Utah Jazz. The Bulls defeated the Toronto Raptors in overtime, 123-118, on Saturday night with Jimmy Butler pouring in 42 points and 10 rebounds. The Bulls then lost by 15 to the Oklahoma City Thunder as Butler came down with an illness. 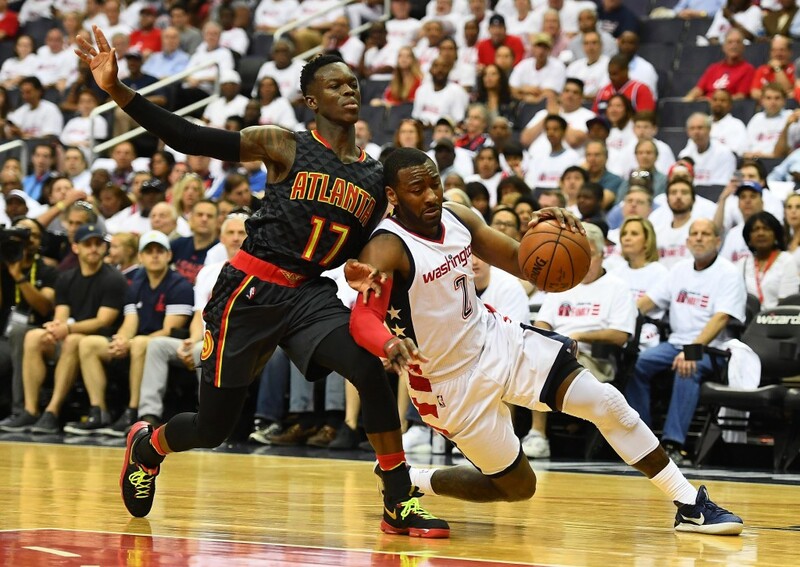 The illness spread as more teammates were impacted, resulting in a two-point loss to the Washington Wizards on Tuesday. The still understaffed Bulls team lost by 15 to the New York Knicks on Thursday evening. Paul Zipser started in place of Jimmy Butler on Thursday against the Knicks. Zipser had seven points, five rebounds, and two assists in 34 minutes. 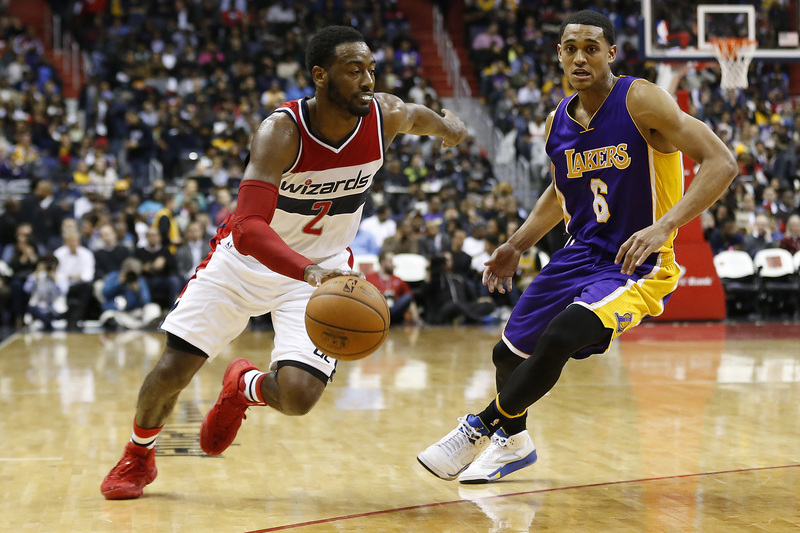 Rajon Rondo played in both the Wizards and Knicks games, coming off the bench for the first time in 10 days. Rondo had a combined 18 points and 14 assists in 50 total minutes of action. The Bulls have a busy travel schedule, as they’ll play the New Orleans Pelicans at home today. Sunday, they’ll be in Memphis for a pre-MLK Day match-up with the Grizzlies, then return home to face the Dallas Mavericks on Wednesday. Friday, they’ll be in Atlanta to play the Hawks, then return home to face the Sacramento Kings the next day. The Bucks were defeated by the New York Knicks at home last Friday by five points as Carmelo Anthony hit a go-ahead three late in the game. They then lost to the Washington Wizards at home on Sunday, before heading to San Antonio and getting a two-point win. Jabari Parker had 22 points in the win, with Michael Beasley exploding for 28 points in 34 minutes off the bench. The Bucks got a nice win last night over the Miami Heat and got a double-double off the bench from Greg Monroe. Monroe contributed 16 points and 11 rebounds in 25 minutes of action. Giannis did this against the Heat last night, which is freaking insane. There’s also a good chance that the Bucks will have 2 representatives at the All-Star game in the form of Giannis and Jabari Parker. The Bucks head to Atlanta on Sunday to play the Hawks. They then return home to face the Joel Embiid lead Philadelphia 76ers on Monday, before three straight road games against the Houston Rockets, Orlando Magic and a rematch against the Heat. The Pistons won in double overtime against the Portland Trail Blazers on Sunday. The game was originally postponed due to bad weather. Kentavious Caldwell-Pope scored 26 points, including the game-winning three. The Pistons then dropped three in a row to the Sacramento Kings and the Golden State Warriors, before an embarrassing 33 point loss to the Utah Jazz last night on ESPN. Everyone not named Kentavious Caldwell-Pope and Andre Drummond is seemingly able to be had in a trade. The Pistons are last in the division and have underwhelmed the entire season, despite the return of Reggie Jackson. If they were motivated, the Pistons could get some quality players back for Jackson, Marcus Morris and Tobias Harris. The Pistons are in L.A. to play the Lakers tomorrow, before returning home to face the Atlanta Hawks on Wednesday and the Washington Wizards on next Saturday.